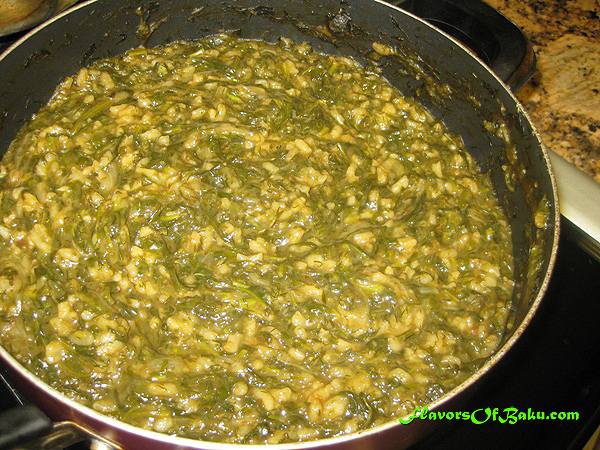 Tara (accent on the last syllable) is an ancient Mountain Jew dish which is kind of like a risotto-style soup made of herbs and rice. Compared to the Mountain Jews from other regions of the Caucasus, Azerbaijani Jews don’t add meat and nuts to this dish, they just add sour plum sauce and other seasonings. “Tara” gets its name from the herb used to prepare it in olden days, and “Bebeyi” means that the dish is prepared in an old-fashioned way. In the modern interpretation of the recipe, you can replace of the herbs with others if some aren’t available in your region. 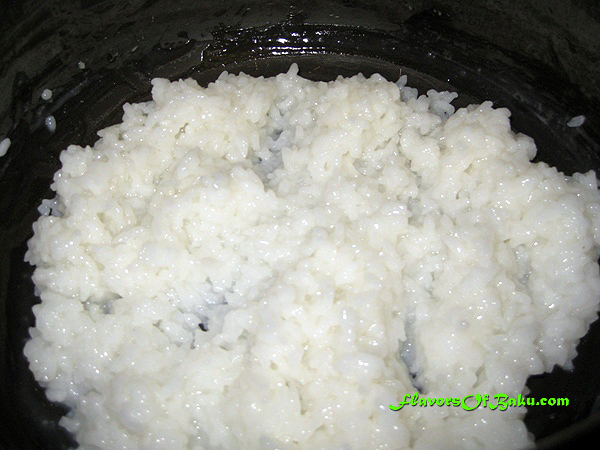 Place washed rice in a saucepan, cover with hot water, add salt to taste, mix, and simmer over low heat until the rice is cooked. 2. 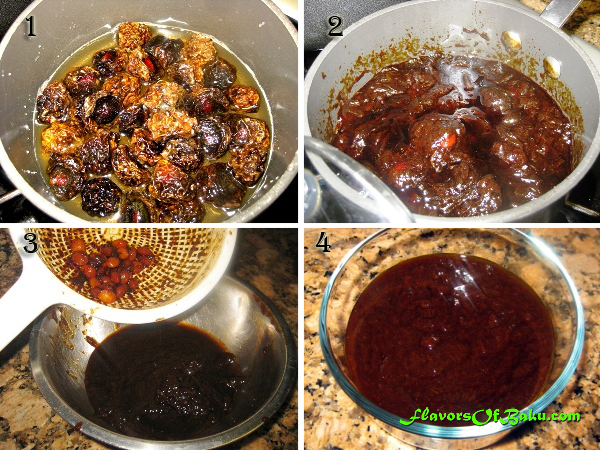 Lower the heat and simmer until the plums are soft enough to mush (add more water if needed). 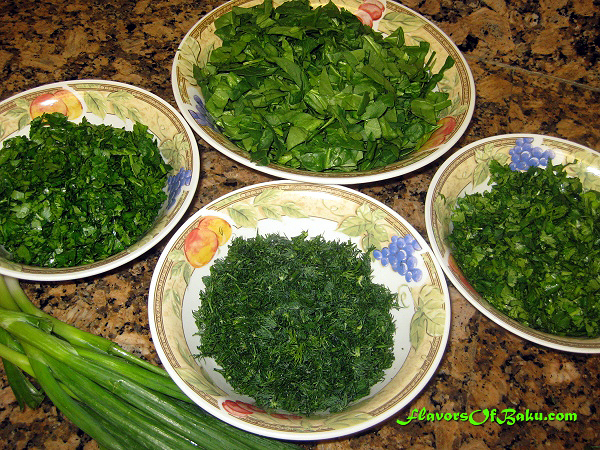 Wash all the herbs and pat them dry with a towel to remove all water before cooking. Finely chop the herbs, but don’t mix them together. Chop the white and green parts of green onion separately, too. Peel the onions, cut them in half, and slice into thin half-rings. 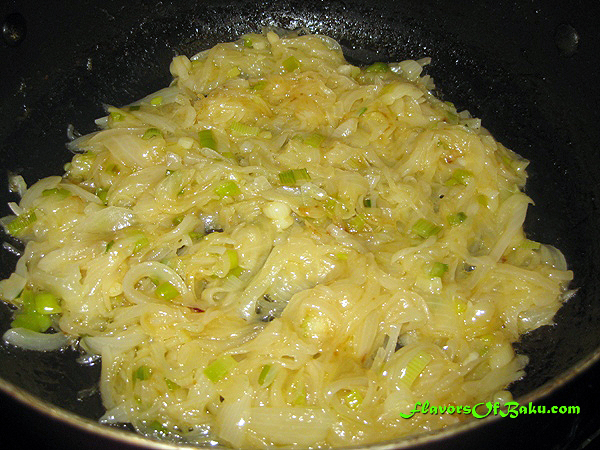 Add olive oil into a saucepan or pot, place the sliced onions and chopped white parts of the green onions, and fry them over low heat until they are lightly golden. 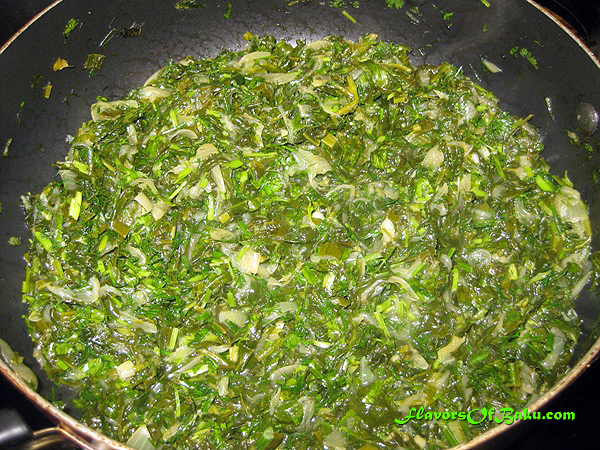 Add the garlic chives, parsley, green parts of the green onions, and spinach to the pan with the onions. Cook over low heat until the herbs soften and darken. Then add the chopped cilantro and dill and continue cooking for a few more minutes. 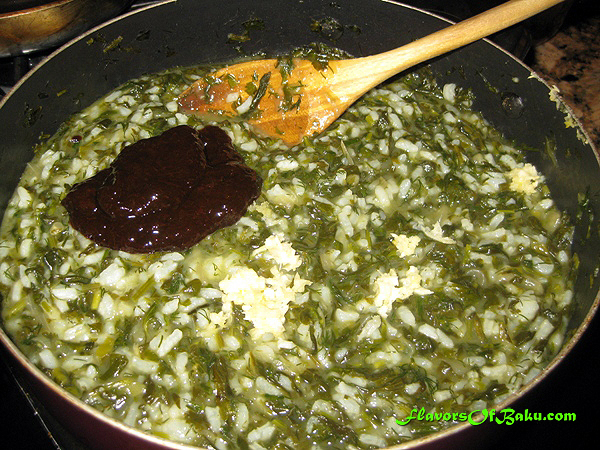 Add the cooked rice, chopped garlic, and sour plum sauce and mix it all together. Finally, add hot water, mix, and simmer over low heat for about 20 minutes. You’re done! 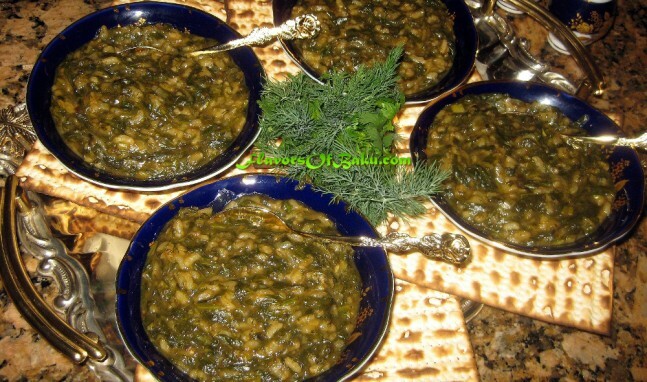 Serve the dish with Matzah bread.